Lenovo servers continue the dominance of data center performance by increasing the total #1 World Record benchmarks to 121 (as of September 14, 2018). 117 of these world records are for our new ThinkSystem line of servers. 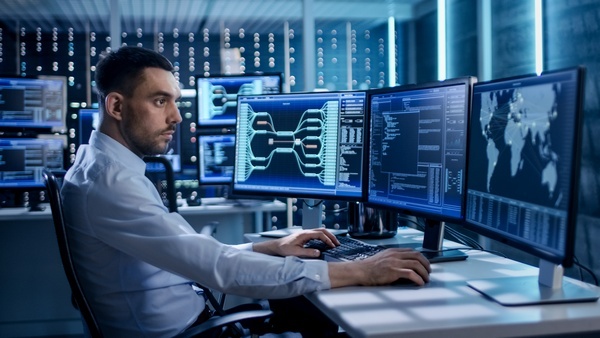 This outstanding performance is achieved with systems ranging from 1S to 8S and a variety of workloads ranging from Big Data Analytics to Infrastructure Virtualization. 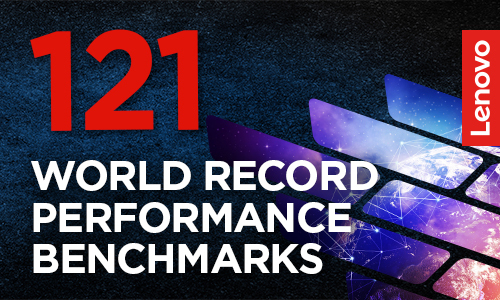 Lenovo servers hold an impressive 121 Performance World Records as of September 14, 2018, more than any other server vendor in the market currently does. 117 are results using our new ThinkSystem servers and 4 are with our System x line of servers. These #1 World Record benchmarks are based on a variety of workloads and include Business Processing, Big Data Analytics, Infrastructure Virtualization, Server Side Java and General and Technical Computing. Lenovo achieved these world-records across multiple platforms and demonstrates its ability to provide solutions to customers. Systems include the Lenovo ThinkSystem SR950, SR850, SR650 and x3950 X6 rack servers, as well as the ThinkSystem SD530 dense server and SN550 blade server, all based on the Intel Xeon Scalable Family of processors. This article summarizes these outstanding performance results. For links to the benchmark reports, see the Performance Benchmark Briefs section. The Lenovo ThinkSystem SR950 and SR650 servers and the System x3950 X6 have 10 world record benchmarks for Business Processing. The Lenovo ThinkSystem SR950 delivered the best 4P performance result on Windows in the SAP Sales and Distribution Benchmark. The Lenovo ThinkSystem SR950 delivered the best 8P performance result on Windows in the SAP Sales and Distribution Benchmark. About this benchmark: SAP Sales and Distribution (SD) Standard Application Benchmarks test the hardware and database performance of SAP applications and components. SAP Application Performance Standard (SAPS) is a hardware-independent unit of measurement that describes the performance of a system in creating the order, creating a delivery note for the order, displaying the order, changing the delivery, posting a goods issue, listing orders, and creating an invoice. Why it matters? If you are running SAP Business Suite applications, a leadership benchmark score means this server is the highest performing server for processing business transaction workflows in an SAP environment. Overall Performance and 4-Socket Price/Performance - Two maintained world records. The Lenovo ThinkSystem SR950 holds the best performance result ever (all servers) and the best ever 4P price/performance TPC-E benchmark result. 2-Socket Performance and Overall Price/Performance - Two new world records. The Lenovo ThinkSystem SR650 delivered the best 2P TPC-E performance result ever and the best ever overall (all servers) price/performance benchmark result. The Lenovo x3950 X6 holds the best 8P performance 8P price/performance TPC-E benchmark result. The Lenovo x3950 X6 holds the best 30TB non clustered performance and price/performance TPC-H benchmark result. 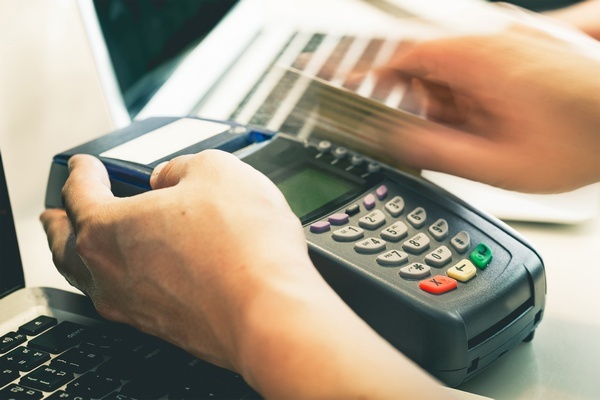 About these benchmarks: The TPC-E benchmark is designed to enable clients to more objectively measure and compare the performance and price of various OLTP systems. The TPC-E benchmark uses a database to model a brokerage firm with customers who generate transactions related to trades, account inquiries, and market research. Although the underlying business model of TPC-E is a brokerage firm, the database schema, data population, transactions, and implementation rules have been designed to be broadly representative of modern OLTP systems. The TPC-H is a decision support benchmark and consist of a suite of business oriented ad-hoc queries and concurrent data modifications. Why it matters: If you are running On-Line Transaction Processing (OLTP) or decision support workloads and databases, a leadership benchmark score means this server is the highest performing server for your data-intensive OLTP transactions or data intensive queries. The Lenovo ThinkSystem SR950 and SR650 servers have 43 world record Big Data Analytics benchmarks. The Lenovo ThinkSystem SR950 holds 12 performance world records with the 4 socket SAP HANA BWoH benchmark. This includes data load, query throughput and query runtime. Six of the records are new on the BWOH version 3 benchmark (1.3B and 5.2B records) and six are maintained on the BWOH version 1 benchmark (1.3B and 2.6B records). About this benchmark: The SAP BW Edition for SAP HANA (BW/4HANA) Standard Application Benchmark is the latest addition to the list of SAP BW benchmarks and goes well beyond the scope and features used in the BW-AML benchmark. The new benchmark is designed to fully utilize the new capabilities of SAP HANA to process the benchmark workload. The benchmark consists of three phases data load, query throughput and query runtime. Why it matters? If you are running SAP HANA, a leadership benchmark score means this server is the highest performing server specifically for your SAP HANA memory intensive database and analytics workloads. The Lenovo ThinkSystem SR950 holds 16 world records for the “big memory” STAC-M3 benchmark. 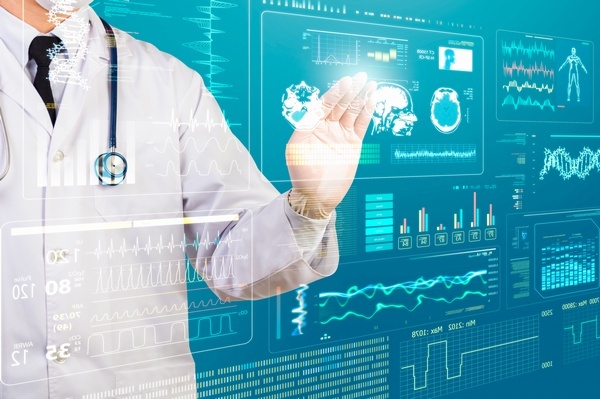 About this benchmark: The STAC-M3 Benchmark suite is the industry standard for testing solutions that enable high-speed analytics on time series data. The STAC-M3 benchmarks measures challenging areas such as time-series analytics, risk simulations, and processing of very high-speed data. The key metric is query response time. In particular, STAC benchmarks test high-speed analytics on time-series data -- tick-by-tick market data. The benchmark is used by large global banks, brokerage houses, exchanges, hedge funds, proprietary trading shops, and other market participants. 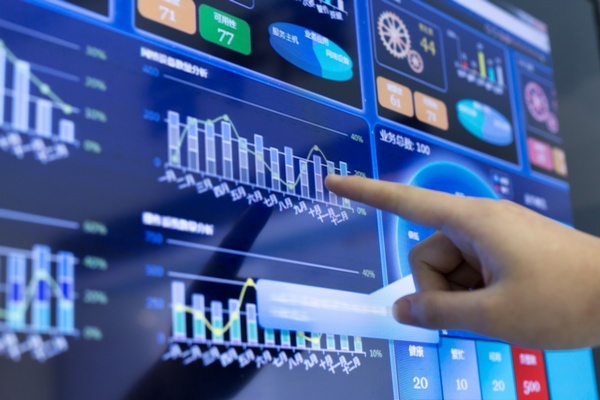 Why it matters: If you are processing high speed financial services or securities, a leadership benchmark score means this server is the highest performing server to process your high speed analytics and financial transactions. The Lenovo ThinkSystem SR950 and SR650 servers have ten world record Infrastructure Virtualization benchmarks. The Lenovo ThinkSystem SR950 holds a world record performance, performance per watt and server performance per watt on the 8P SPEC virt_sc 2013 benchmark. The Lenovo ThinkSystem SR950 delivered three world record performance, performance per watt and server performance per watt on the 4P SPEC virt_sc 2013 benchmark. The Lenovo ThinkSystem SR650 holds world record performance and performance per watt and server performance per watt on the 2P SPEC virt_sc 2013 benchmark. The Lenovo ThinkSystem SR650 delivered one world record performance on the 1P SPEC virt_sc 2013 benchmark. About this benchmark: The SPEC virt_sc 2013 benchmark measures the end-to-end performance of all system components including the hardware, virtualization platform, and the virtualized guest operating system and application software. SPEC virt_sc 2013 is the second-generation SPEC VIRT benchmark for evaluating the virtualization performance of datacenter server consolidation, including enterprise class workloads. 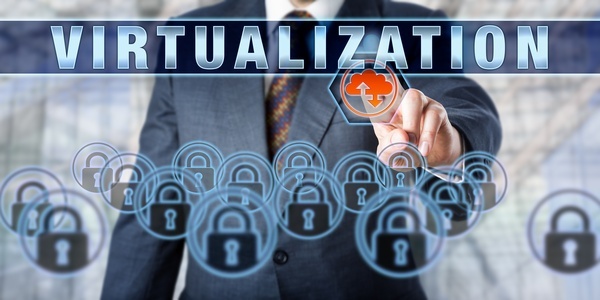 Why it matters: If you are virtualizing multiple workloads, a leadership benchmark score means this server is the highest performing server for memory intensive virtualized environments. The Lenovo ThinkSystem SR650 and SR950 has set 30 World Records for the SPECjbb Server-side Java benchmark. The Lenovo ThinkSystem SR950 holds 4 world records for 8P performance results for the SPECjbb2015-MultiJVM and SPECjbb2015-Distributed benchmarks. The Lenovo ThinkSystem SR950 delivered 4 world records for 6P performance results for the SPECjbb2015-MultiJVM and SPECjbb2015-Distributed benchmarks. The Lenovo ThinkSystem SR950 holds 6 world records for 4P performance results for the SPECjbb2015-MultiJVM and SPECjbb2015-Distributed benchmarks. The Lenovo ThinkSystem SR950 delivered 6 world records for 3P performance results for the SPECjbb2015-MultiJVM and SPECjbb2015-Distributed benchmarks. The Lenovo ThinkSystem SR650 holds 6 world records for 2P performance results for the SPECjbb2015-MultiJVM and SPECjbb2015-Distributed benchmarks. The Lenovo ThinkSystem SR650 holds 5 world records for 1P performance results for the SPECjbb2015-MultiJVM and SPECjbb2015-Distributed benchmarks. About this benchmark: The SPECjbb2015 benchmark has been developed from the ground up to measure performance based on the latest Java application features. 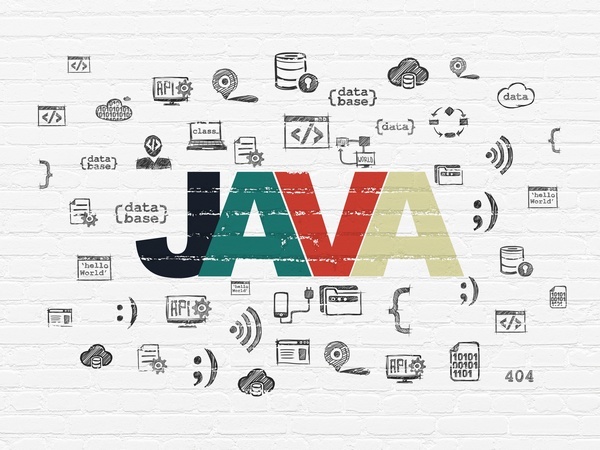 It is relevant to all audiences who are interested in Java server performance, including JVM vendors, hardware developers, Java application developers, researchers and members of the academic community. Why it matters: If you are interested Java server performance, a leadership benchmark score means this server is the highest performing server for the latest Java application response time and throughput. The Lenovo ThinkSystem SR950 and SR650 servers have set 19 world records General Computing benchmarks. The Lenovo ThinkSystem SR950 holds four 8P world records for compute-intensive applications with the SPEC CPU benchmarks. This include SPEC CPU 2017 and SPEC CPU 2006 benchmarks. The Lenovo ThinkSystem SR950 delivered four 6P world records for compute-intensive applications with the SPEC CPU 2017 benchmarks. The Lenovo ThinkSystem SR950 delivered one 4P world records for compute-intensive applications with the SPEC CPU 2017 benchmark. The Lenovo ThinkSystem SR950 delivered four 3P world records for compute-intensive applications with the SPEC CPU 2017 benchmarks. The Lenovo ThinkSystem SR650 holds three 1P world records for compute-intensive applications with the SPEC CPU 2017 and SPEC CPU 2006 benchmarks. SPEC CPU 2017 contains SPEC's next-generation, industry-standardized, CPU intensive suites for measuring and comparing compute intensive performance, stressing a system's processor, memory subsystem and compiler. CPU2017 has 43 sub-benchmarks, organized into four suites. SPEC designed these suites to provide a comparative measure of compute-intensive performance across the widest practical range of hardware using workloads developed from real user applications. The SPEC CPU 2006 benchmark is an older industry-standardized, CPU-intensive benchmark suite, stressing a system's processor, memory subsystem and compiler. It provides a comparative measure of compute-intensive performance across the widest practical range of hardware using workloads developed from real user applications. SPECfp is the floating point measurement of SPECcpu focusing on highly scientific workloads. SPECint is the integer component of SPECcpu focusing on integer-math based workloads. Why it matters: If you are running compute-intensive workloads, a leadership benchmark score means this server is the highest performing server for how fast a server completes a task (speed) and/or how much a server can accomplish in a certain time (throughput or rate measurement). The Lenovo ThinkSystem SR850 holds a world record for the SPEC Power benchmark. The Lenovo ThinkSystem SD530 4 node delivered a world record for the SPEC Power benchmark. The Lenovo ThinkSystem SN550 2S -14 node holds a world record for the SPEC Power benchmark. Why it matters: The IT industry, computer manufacturers, and governments are increasingly concerned with the energy use of servers. This benchmark provides a means to measure power (at the AC input) in conjunction with a performance metric. This helps IT managers to consider power characteristics along with other selection criteria to increase the efficiency of data centers. The Lenovo ThinkSystem SR950 and SR650 servers holds nine world record Technical Computing benchmarks. The Lenovo ThinkSystem SR950 delivered a world record for the SPEC OMP2012 benchmark. About this benchmark: The SPECompG 2012 benchmark is designed for measuring performance using applications based on the OpenMP 3.1 standard for shared-memory parallel processing. The benchmark includes 14 scientific and engineering application codes, covering everything from computational fluid dynamics (CFD) to molecular modeling to image manipulation. Why it matters: If you are running scientific or engineering applications, a leadership benchmark score means this server is the highest performing server for these workloads. The Lenovo ThinkSystem SR650 deliverd three world record for the SPECmpiM benchmark. This includes the single and two node benchmarks. The SD650 holds the four node benchmark record. The Lenovo ThinkSystem SR950 delivered a new one-node 3S world record for the SPECmpiM benchmark. The Lenovo ThinkSystem SR950 delivered a new one-node 4S world record for the SPECmpiM benchmark. The Lenovo ThinkSystem SR950 delivered a one-node 6S world record for the SPECmpiM benchmark. The Lenovo ThinkSystem SR950 delivered a one-node 8S world record for the SPECmpiM benchmark. About this benchmark: The SPECmpiM 2007 benchmark suite is for evaluating MPI-parallel, floating point, compute intensive performance across a wide range of cluster and SMP hardware. This suite gives users the most objective and representative benchmark suite for measuring and comparing high-performance computer systems. Why it matters: If you are running compute intensive technical workloads, a leadership benchmark score means this server is the highest performing server measuring the CPUs, MPI library, communication interconnect, memory architecture, compilers and file system. For medium to large enterprises, and managed and cloud service providers, the Lenovo ThinkSystem SR650 server is the optimum 2U, two-socket server—the most widely used server type worldwide. It’s engineered to deliver high performance with 205W CPUs, low-latency NVMe drives, and high-power GPUs. Increasing productivity of virtualized transactional systems, using validated designs for OLTP databases. The Lenovo ThinkSystem SR950 server is designed for your most demanding, mission-critical workloads, such as in-memory databases, large transactional databases, batch and real-time analytics, ERP, CRM, and virtualized server workloads. Lenovo XClarity Controller is an all-new hardware embedded management engine common in ThinkSystem servers such as the SR650 and SR950. XClarity Controller features an uncluttered graphical user interface, industry standard Redfish-compliant REST APIs, and enables booting in half the time of prior generation servers, with up to 6x faster firmware updates. The following links take you to the Performance Benchmark Reports for each benchmark result. Randall Lundin is the Mission Critical Product Manager in the Lenovo Data Center Group. He is responsible for managing and planning Lenovo’s 4-socket and 8-socket servers. Randall has also authored and contributed to numerous Lenovo Press publications in the Mission Critical space. Windows® is a trademark of Microsoft Corporation in the United States, other countries, or both. TPC, TPC-E, and TPC-H are trademarks of Transaction Processing Performance Council. SPEC®, SPEC CPU®, SPECfp®, SPECint®, SPECjbb®, SPEC Power®, SPECpower_ssj®, SPEC VIRT®, and SPEC VIRT_SC® are trademarks of the Standard Performance Evaluation Corporation (SPEC).